In February, 2010, James Caviezel made his sixth pilgrimage to Medjugorje, and afterwards travelled to Vienna where he gave an interview to Christian Stelzer for the magazine Oase des Friedens. The following is taken from the Croatian translation, published in the latest edition of the Medjugorje parish magazine, Glasnik mira. • Jim, can you tell us, how did you hear about Medjugorje? My wife came to Medjugorje while I was in Ireland, shooting the movie “Monte Cristo.” Things were not that great, although I worked seven days a week. One day she called me, and I could notice in her voice that there was a change. She started talking about Medjugorje, and how one of visionaries was about to come to Ireland. I interrupted her by saying: “Listen, I really have some serious stuff to do. I am not able now to go into anything with any of the visionaries.” Besides that, I thought that, as a Catholic, I didn’t have to necessarily accept Lourdes or Fatima or Medjugorje. That is how I thought. I remember that in the Catholic school I attended earlier in my life, when we heard about Medjugorje we were thrilled, but we soon found out that the local bishop was objecting and considered the apparitions to be false, and so we lost our interest immediately. The visionary Ivan Dragicevic came to Ireland, and I knew straightaway that I would not have time for him, since I had to work all the time. One day my movie partner Jim Harris wasn’t feeling well, so I got the day off, and I was able to attend an apparition. I stood at the very back of the packed church, and I wasn’t quite sure about what was going on. But when the man next to me in his wheelchair fell down on his knees at the time of the apparition, I was deeply moved. I thought, This handicapped man, despite all of his pains, is kneeling down on the cold stone floor, and he is praying! Today I realize only God could have known me so well. He knew where exactly He needed to touch me to get my attention! Although it might sound strange, on the following Sunday, I got another day off, and I was able to meet with Ivan, which was my wife’s special wish. During the time of apparition, I knelt close to him, and I said in my heart, “Okay, here I am. I am ready. Do with me what you want.” In the same moment, I felt as something was fulfilling me. It was very simple, and yet unique. When I got up, tears were running down my cheeks, and I started to cry with all of my heart. “By starting to pray,” he replied. In that moment the doors of my heart were opened. I couldn’t have even dreamed of that being possible. We went to a restaurant, and I must admit that the wine and food I had was never as tasteful as on that particular night. In the warm light of love that I felt within me, I was able to realize where I really was, how many temptations I had, what my feelings were, how weak I was, and how strictly I judged other people. • When did you come to Medjugorje for the first time? After filming was completed, and that was in Malta, I decided to come to Medjugorje. When I was 20, an inner voice would say to me that I should become an actor. When I spoke about that with my father, he used to say, “If God wants something of you it is for you to become a priest. Why would He want you to become an actor?” I did not understand either at that time. Again, I asked myself the same question, Does God want me to become an actor to make lots of money and to become rich? I was aware of the imbalance in the world between those who have a lot and those who barely have enough for survival, and I knew that was not what God wanted. And was I to make a choice to seek wealth, which does not provide permanent happiness, or to serve God, Who wants to guide my life? At that time, Medjugorje reminded me of Bethlehem, and I thought, Just as Jesus was born in a small place, in the same way, the Mother of God is appearing in a poor village in between hills. Those four days I spent in Medjugorje, at that time, were my turning point. In the very beginning, I was still amazed at how much people prayed in Medjugorje. Everything reminded me of basketball camp. There you do not play just one match a day, but continually. The same as in school, where you do not read just once a day, but always, repeatedly. 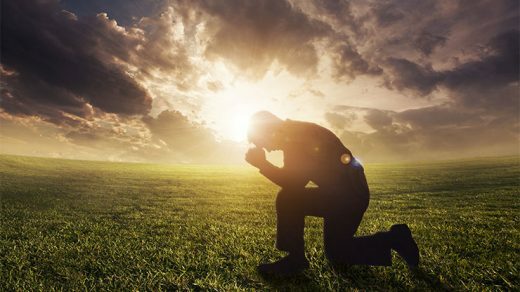 In those first days in Medjugorje, I felt inner unrest while I was praying, because I was not used to praying that much, and I was asking God to help me. After four days the only thing I wanted to do was to pray. Whenever I prayed, I felt connected with God. That was an experience I would wish for every Catholic! Maybe as a child, I felt something similar, and I forgot about it. Now it was given to me again. The same experience continued back at home. In our family, we live the sacraments together. As we drive the kids to school, we pray the rosary together. Sometimes when I don’t start to pray, my son starts first. When I came to Medjugorje for the second time, I expected to have those first, initial experiences again, but it was different. After lunch one day, some pilgrims invited me to go with them to visit Fr. Jozo Zovko in Siroki Brijeg. That was also my wife’s desire. I didn’t know Fr. Jozo personally, but I was very much impressed by all stories I heard about him. I met with him. He laid his hands on my shoulders. I laid mine on his shoulders. He laid his hands on my head. I laid mine on his head. In that moment, I felt the words within me: “I love you, my brother. This man loves God.” Fr. Jozo spontaneously turned towards his interpreter and asked her who I was and said that he wanted to talk to me. That was beginning of a lasting friendship. That was the time immediately after we finished shooting the “Passion,” and around that time, I was able to experience all conflicting forces within me regarding that movie. • Can you tell us why you felt that way, and what was the connection between that movie and Medjugorje? You are probably familiar with expression “to cross the Rubicon.” That means it is not possible to go back. You reach the point of no return. The “Passion” was such a Rubicon for me. When shooting started, I was 33 years old, just like Jesus. I always wondered if I was even worthy to play Jesus. Ivan Dragicevic encouraged me and said that God does not always necessarily choose the best, which is something he sees in his own situation. If it wasn’t for Medjugorje, I wouldn’t have ever agreed to take that part, because it was in Medjugorje that my heart opened to prayer and to the sacraments. If I wanted to play Jesus, I knew I needed to be very close to Him. Every day I went to Confession, and I attended Eucharistic Adoration. Mel Gibson was coming to Holy Mass, as well, with the condition that Holy Mass was in Latin. That was good because in that way I learned Latin. Thanks to continuous prayer of the rosary – I can’t begin to tell how many rosaries I said during the time of shooting – I was able to experience a special grace. I knew I wasn’t supposed to use bad language. I knew I couldn’t be rude if I wanted to say something to members of the crew. Most of them did not know about Medjugorje. They were all great actors, and we were lucky to get them. But how was I to bring Medjugorje to them, if not by my own life? Medjugorje, for me, means to live the sacraments and be in unity with the Church. Thanks to Medjugorje, I started to believe that Jesus was really present in the Eucharist and that He forgives my sins. Through Medjugorje, I experienced how the rosary is a powerful prayer and what a gift we have when we attend Holy Mass every day. How could I help other people to increase their faith in Jesus? I realized that this can only happen if Jesus is present in me through the Eucharist, and so people would see Jesus through my life. When we were shooting the scene of the Last Supper, I had an inner pocket made in my clothes where I placed some relics of saints and a relic of Christ’s Cross. I had a strong desire for Jesus to be really present, and so I asked the priest to expose the Blessed Sacrament. At first, he did not want to do that, but I was persistent in asking, because I was positive that people would recognize Christ more, if I myself was looking at Him. The priest was standing with the Blessed Sacrament in his hands next to a cameraman, and together with him, he approached me. When people watch the movie and see a shimmer in my eyes, they are not aware that they really see Jesus, a reflection of the consecrated Host, in my eyes. The same was in the scene of the Crucifixion. The priest was there; he held the Blessed Sacrament in his hands, and I prayed all the time. The biggest challenge in the movie was not, as I originally thought, to memorize all the texts in Latin, Aramaic, or Hebrew, but all the physical efforts I needed to overcome. During the last scene, my shoulder was sprained, and it became dislocated every time somebody hit the cross. While we filmed the scenes of the scourging, I was twice caught by those whips, and I had a 14 cm wound on my back. My lungs were full of fluid, and I had pneumonia. Chronic sleep deprivation should be added to that, since for months, I had to get up at 3:00 in the morning, because make-up would take almost eight hours. Another special challenge was the cold weather, temperatures hardly above zero, which was especially difficult to endure in the Crucifixion scene. My whole costume was made of one single piece of light fabric. While we were shooting the last scene, the clouds were very low and lightning struck the cross to which I was tied. Suddenly everything was silent around me, and I felt my hair standing on edge. About 250 people who were around me saw my whole body being illuminated, and they all saw fire on the left and on the right side of me. Many were shocked at what they saw. I know that the “Passion” is movie of love, maybe one of the greatest of such movies. Jesus today is subject of many controversies, more than ever before. There are so many factors that threaten this created world, but faith in Jesus is the source of joy. I think God is calling us in a special way in this time, and we need to answer that call with our whole heart and whole body. Read more stories of conversion involving Medjugorje in the book: Full of Grace: Miraculous Stories of Healing and Conversion through Mary’s Intercession. What a wonderful interview and testimony. To me, the movie, Passion of Christ, is the most emotionally powerful movie I have ever seen. I saw it in the movie theatre when it originally came out and was scared to see it again on dvd because it is so heart wrenching. I finally saw it again on Good Friday of this year. Such a powerful movie and I now realize one of the main reasons why. Mr. Caviezel put his heart and soul into it. Thank you so much. I plan on seeing Passion of Christ on every Good Friday. Great interview!! I have a friend that watches this movie when she feels like she’s not living her life the right way, and it helps her get back on track! God’s grace comes through this movie because of Mr. Caviezel’s faith relationship with the ‘main character’ and of course the other cast members and director (Gibson) who put their faith relationship into it also. I will never forget the news report of a man who after seeing it at the theater, went to the police station and confessed to murdering a woman when he initially reported it as an accidental death. But more importantly, every time we view it, it effects us. After reading this article I see why. I had no idea the role the Eucharist played in it’s making. God was on the set! Thank you, thank you, thank you, Mr. Caviezel, for your work in faith. Many lives have been touched. The Passion Of Christ is the greatest movie ever made! Jim Caviezel deserves an Oscar for that movie! It was as though one was looking at Christ Himself! Bravo Jim! I’m sure Jesus was pleased! PRAISE GOD!!! Thank you for sharing your candid story of your return to our Catholic Faith. LOVE picked you to share with this hurting, dimming world, the life He lived and sacrificed, to remind us of His ineffable LOVE for all His creatures. Remain faithful to HIM because, like all of us, you, too, will really carry a piece of His Holy Cross. God bless you and your loved ones. Jim’s story is amazing, and his portrayal of Christ and the Passion brought the reality of God’s infinite love home to me in a very personal way. I’m sure it is responsible for a lot of the thoughts which went into this discourse of mine concerning the Cross. No man has ever been lonelier than Jesus was on His way to Calvary. No burden was so heavy nor injustice as great as His complete and total acceptance of the “cross of love” for all mankind which our heavenly father placed upon His shoulders for our salvation. Do you see the awesome intensity of the Father’s love for us here? That He would “allow” a scene such as this in order that His children might be saved. This was His incarnate body being ripped to shreds; His precious blood poured upon the ground; His blessed virgin mother witnessing the ugly brutality against the child they shared together. And at a distance, the disciples’ pity, though heart felt, was overcome by their fear of religious and political authorities. Yes, Jesus our brother was a “loner” within His suffering, but universal in His love and eternal passion for our salvation. Jesus has shown us how to suffer for the sake of our Father and His people. As Christians, we are by choice now a family of suffering souls who can rise above pain, rejection, abuse, or ridicule and not wonder why or seek answers for its presence in our lives. We know because our brother, the Crucified, has set the tone of our transformation by and through His glorious cross. All Christians, through original sin, are justly tied to the cross with Jesus and should welcome a personal measure of suffering that we might share in His resurrection. To deny or avoid that cross or that measure would be to deny Christ. Accept and cherish our Holy Cross, for it is truly God’s gift of eternal life for us; our shared symbol of love for Him. Lord Jesus, though we have chosen to follow in your footsteps to the cross of our salvation, our human weaknesses often tempt us to recoil at the thought or sight of suffering. Lord Jesus, we pray Your infinite mercy will help us to remember always the celestial love of the Father and His willingness to suffer through and with You on the cross for us. Help us to know, deep within our souls, that we are truly fortunate for any opportunity to share and offer our portion of suffering with you, that we may one day share eternity with Him. Great article! Mr. Caviezel gave a powerful testimony at our Eucharistic Congress in Atlanta a few years ago. It is so awesome to have him as an artistic icon that is living his faith! Amazing story! Jim, the scene in which you were approached by the Mother of God was the reason I came back to the church after 30 years! It was my rubicon, Jesus calling me back to the Church. He made it very clear to me in a loving way that I had abandoned Him. So your hopes about that scene were realized, I saw and felt Jesus speaking to me. I’m sure many others were affected in kind. 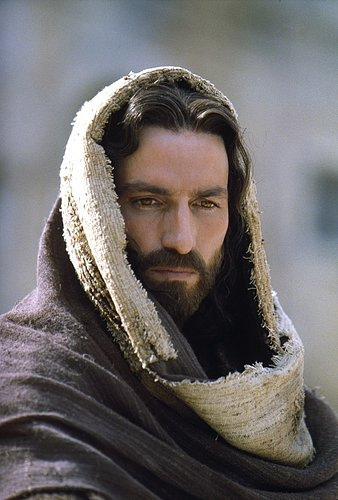 The Italian actor who played Barabbas had a conversion experience when he had to gaze into Jesus’ eyes… He recounted that at that moment he did not see Jim Caviezel’s but Jesus’ gaze penetrate his soul. Now he gets invitations in Italy to give his testimony and how he has also returned to practicing the faith and praying the rosary.